I'm biscuit obsessed - I admit it. They're perfect in every way, and great for adapting. You can dress them however you'd like, and they're usually on board. 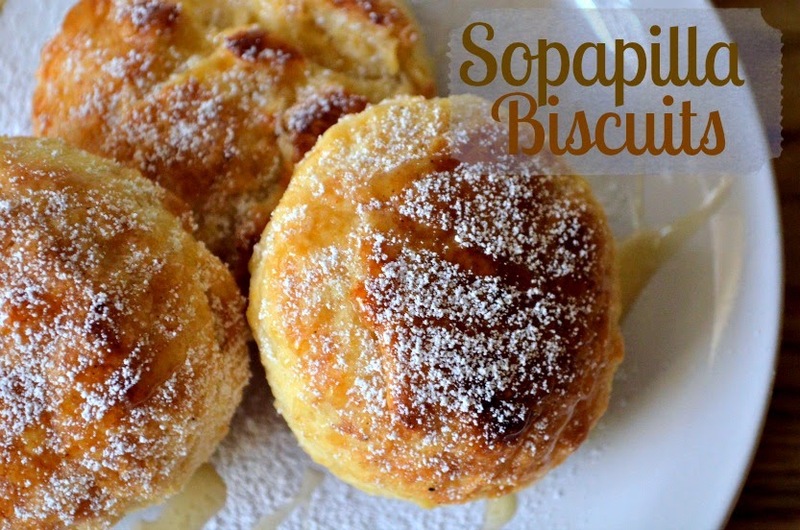 I had the idea for Sopapilla Biscuits when I was craving sopapillas. Sopapillas vary between regions, and in Texas they are made from yeast dough that is fried until puffed then doused in honey and powdered sugar. They are the perfect dessert to round out a great Tex-Mex meal. To make the biscuits sopapilla-ey I fried the dough a little before baking and covered the finished dish in Bee Free Honee and powdered sugar. These would make a really yummy addition to a savory brunch. 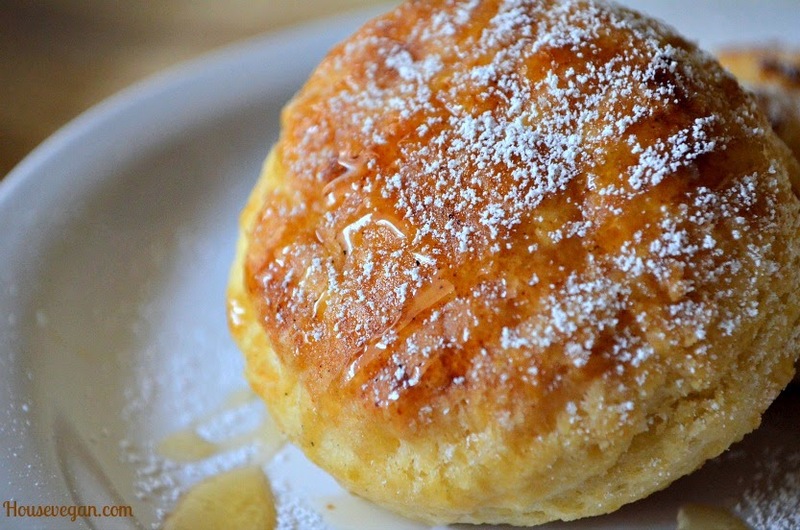 Their saccharine nature will round out the rest of the meal, and (like most biscuits) they're perfect with a cup of coffee. 1. Preheat your oven to 400. In a medium bowl combine the flour, salt, sugar and baking powder. 2. With your fingers or a pastry cutter cut in the Earth Balance pieces until they are the size of peas. 3. Pour the milk over the flour and stir gently with a spatula until it comes together. 4. Pour the dough onto a floured surface and gently knead it a few times until it's not super sticky. Pat it out gently to 1" thick. Fold the dough over itself and pat it out to 1" thick again. Repeat twice to fold 3 times. This needs to be done very gently! Pat it like you're playing patty cake with a baby. No smooshing. After the third fold pat the dough to 3/4" thick, and cut out your biscuits. Don't forget to pat together your scraps to get 1 or 2 more! Repeat until you're out of dough. With a normal sized cutter (2-2 1/2 inches) I get 8. 5. In a skillet over medium heat melt 1 tablespoon of Earth Balance. When the oil begins to sizzle carefully add the raw biscuits a few at a time and fry for about 20 seconds on each side. Place the fried biscuits on a parchment paper lined baking sheet to prepare for baking. You may need to add a little more Earth Balance between batches. 6. In a saucepan over medium heat melt together the Wash ingredients. Brush the biscuits with the wash and bake for 15 minutes or until the biscuits are golden brown. 7. Serve warm drizzled with powdered sugar and Bee Free Honee or agave nectar.